“It is true that Europe cannot house all the misery in the world. 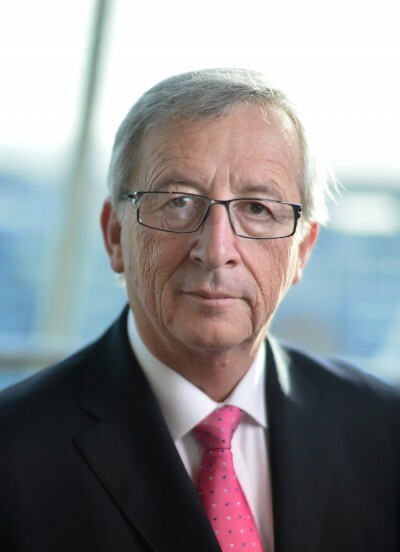 But we have to put it into perspective.” EU Commission President Jean-Claude Juncker, Sep 9, 2015. Such political reflections are not new. Europe has seen political experiments that tended to go more pear shaped than develop in even harmony. In what remains one of the more curious political assemblies of history, the Holy Roman Empire proved to be more eclectic and disparate than the Oxbridge college system. Appendages in title were added over time, be it the term “Roman Empire” and the addition of “Holy”. Battles were waged between dynasties, and between the Pope and the secular ruler in the form of the Holy Roman Emperor. The patchwork imperial system brought the famous quip by Voltaire: it was neither Holy, nor Roman nor an Empire. Eventually, Napoleon killed it off. Other aspects of the proposal involve a permanent relocation system, a proposed list of safe countries, a review of the Dublin system requiring arrivals to claim asylum in the state they first enter the EU and a better overall control of external borders and improvement of legal channels for migration (BBC News, Sep 9). The target of the Juncker plan is unevenness in EU refugee policy. Some countries regard themselves as unbound by imposed targets. This is proving problematic for such states such as those in the Visegrad group, whose citizens have benefited from a looser migration regime. Quotas, argue Hungary’s Viktor Orbán, cannot exist without genuine border security. There is another dimension at stake here. Some governments have made the obvious decision that rapid incorporation and acceptance of refugees is in order. Germany’s approach, by way of comparison to other member states, looks staggering. This, argues economics commentator Robert Peston, may have as much to do with the growth factor than anything else. Germany’s population is aging; its dependency ratio (welfare against earners) is rising, and it needs the rush of migrants. Viable, hardy refugees will add a boost in the long term and it has been said that German Chancellor Angela Merkel “is creaming off the most economically useful of the asylum seekers, by taking those who have shown the gumption and initiative to risk life and limb feeling to Europe.” Another experiment in population adjustment is taking place at the heart of Europe.Indeed, Merkel is very aware of pushing a rhetoric in sharp distinction to her EU colleagues. Avoid, she seems to be intoning, the reference to “Gastarbeiter” or “guest workers”, a suggestion that the people being welcomed are more in the league of citizens than before. She has lately said that, in future, she expects many of the latest refugees arriving to “become new citizens of our country”. The EU problem, just as it is in finance, is what standards to impose. The debate about any union is what obligations cut deepest. Germany’s formula on this, just as it stands in finance, will not be appreciated by others. Merkel is already nudging the line that the Schengen arrangements may be at risk if other states do not muck into the refugee intake. But the milk of human kindness wasn’t abundant to begin with, and internal debates are proving furious.The very idea of imposed quotas, sanctioned by executive decree, is bound to send nationalist groups to the streets. Latitude, it is being suggested in what are putatively sovereign halls, must be granted to states. Denmark, this week, has already given a taste of that latitude with the cancellation of all trains to and from Germany to discourage migrants. Government advertisements are also being run in the Middle East publications to discourage arrivals (Financial Times, Sep 9). Creeping up in the Juncker ripostes to his opponents, most vocally that of Farage, is a certain authoritarianism. Another UKIP member, David Woburn, was given a serving when interjecting in Juncker’s speech. “I will not at each time respond to what you are saying because what you are saying is useless.” Others did not agree, with an interjecting Italian MEP sporting an Angela Merkel mask. Such is the face of European Disunion: avoid such opinions at your peril. The treatment of Greece by the troika continues to plague Europe’s dream, but the treatment of refugees is bound to provide another, perhaps sterner test.